Click on an image to open the original scan. You are free to use the ones credited to the SAA Museum Society Archives. Please contact us with regard to pictures credited to individual photographers. The photographers and The SAA Museum Society would appreciate being credited. Also please let us know what you are using the images for, send us information and links. 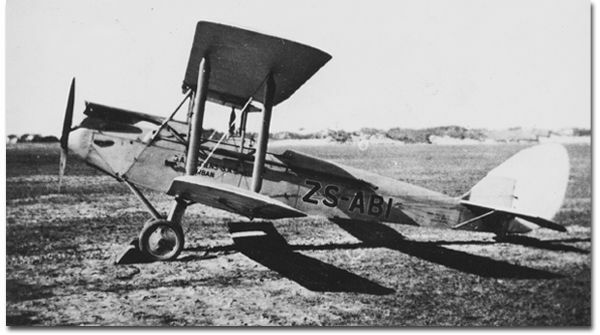 The only bi-plane ever operated by SAA was a single de Havilland DH60G Gipsy Moth. 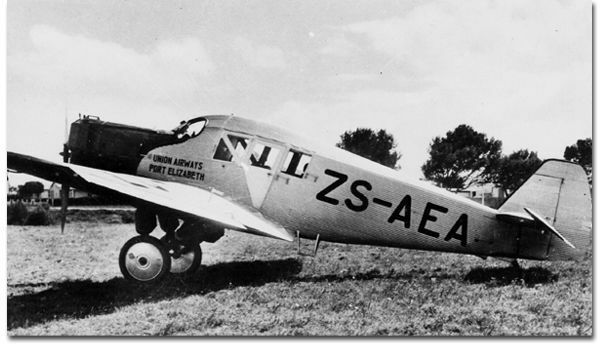 ZS-ABI was taken over from Union Airways in 1934. The aircraft carried one passenger. SAA used it for non-scheduled work. 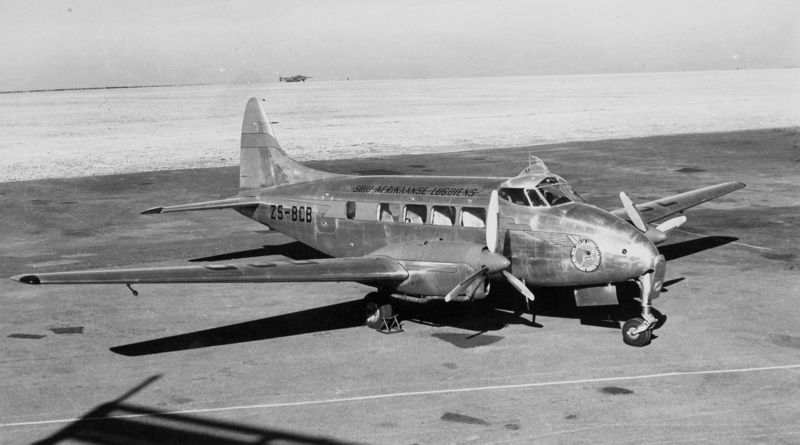 Union Airways operated five of the type, two of which had enclosed cockpits. 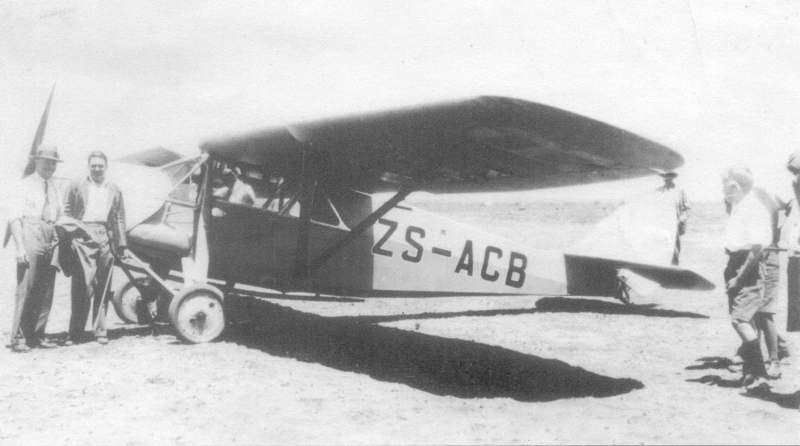 ZS-ACB, Ex Union Airways, was taken over by SAA in 1934. Unsuitable for airline operations it was used briefly by SAA for meteorological flights. 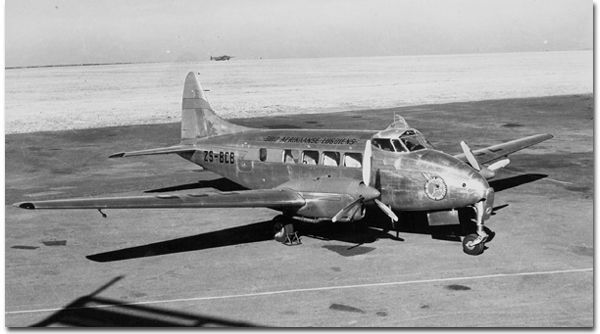 It was sold to Spencer Airways in Rhodesia. 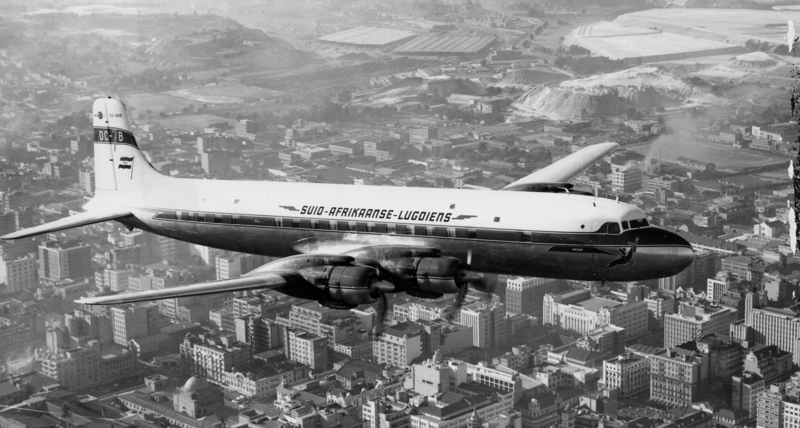 aircraft was the World’s first all-metal airliner. 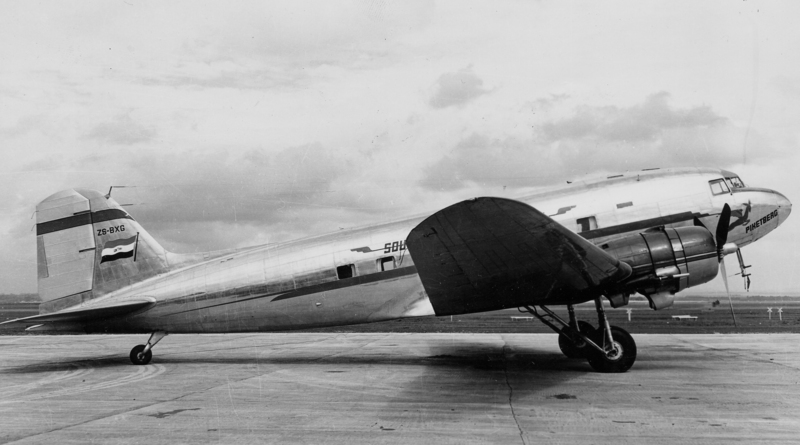 The legendary “Tante Ju” first flew in 1931 and more than 5000 were eventually built. 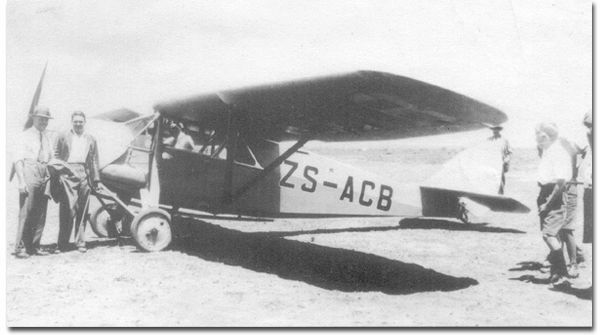 SAA took delivery of 15 aircraft between 1934 and 1938. 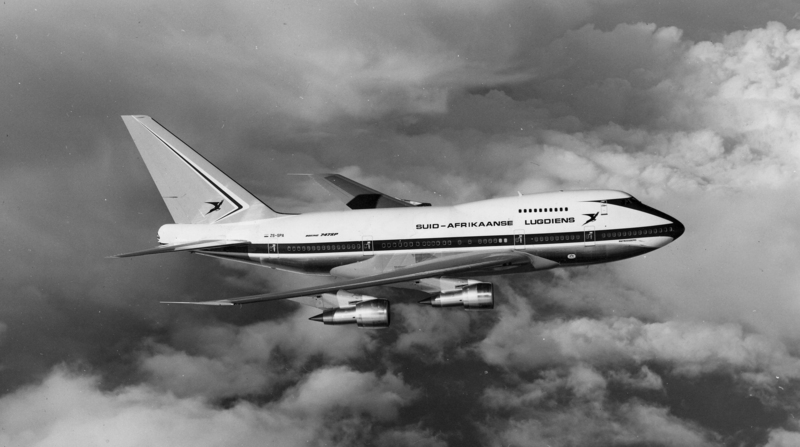 Up to 18 passengers were carried on internal routes and on regional routes to East Africa. 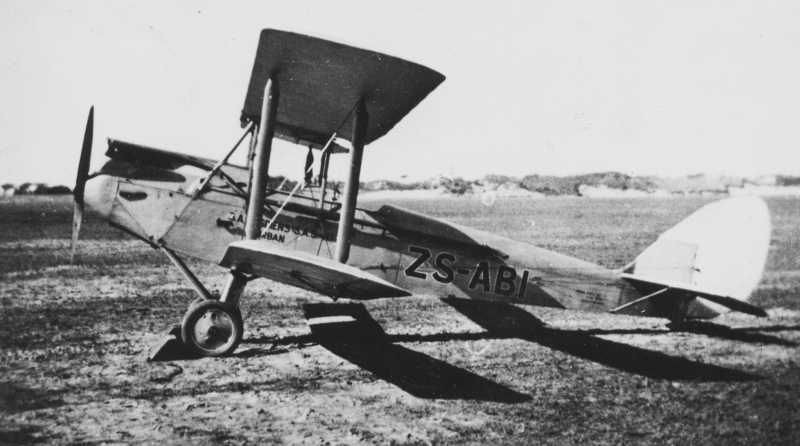 The aircraft were transferred to the SAAF in 1940. None saw service after the war. 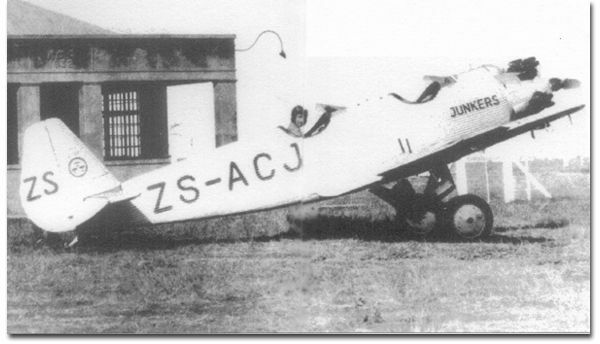 A 16th aircraft, a CASA 352L, a Spanish license built Junkers Ju 52/3m, was donated to SAA for restoration to flying condition to take part in the Airline’s 50th anniversary celebrations on the 1st of February 1984. 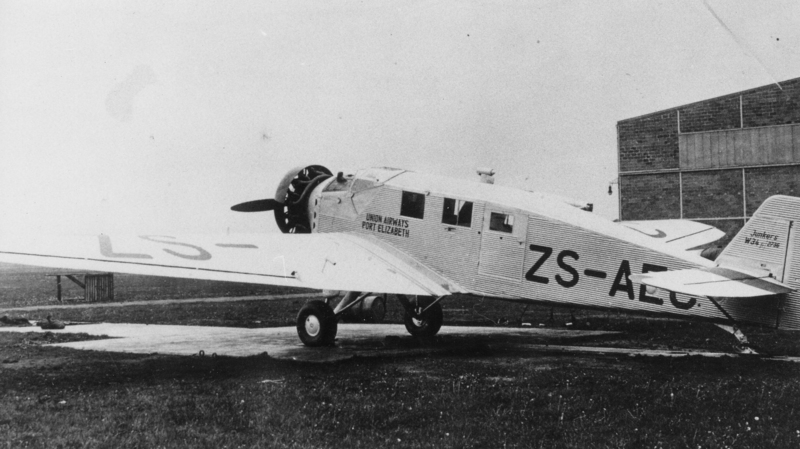 A single Junkers W34, ZS-AEC, was taken over from Union Airways in 1934. 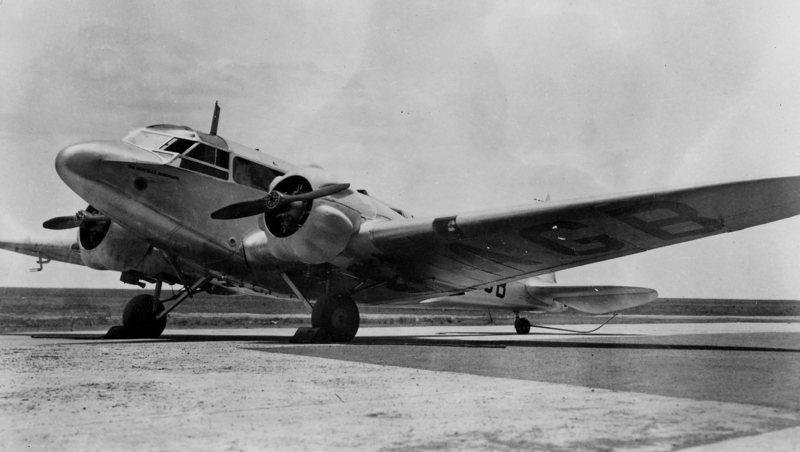 It crashed at George on 16 October 1937. Union Airways operated two aircraft, one being written off in an accident. 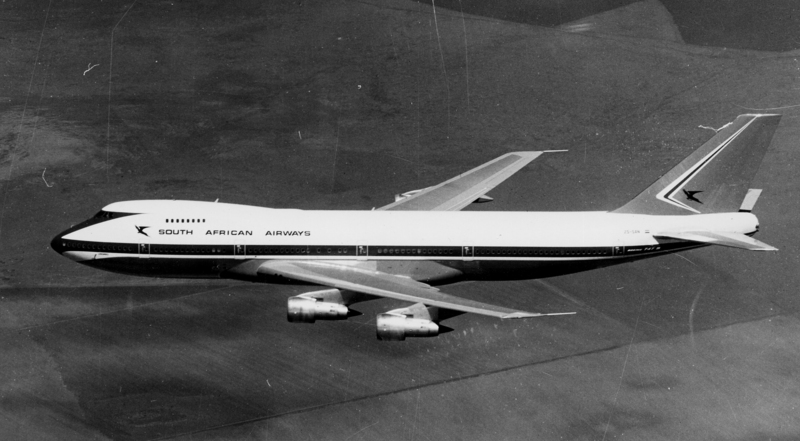 The A50s were used mainly by South West African Airways in the principle role as air mail carriers. 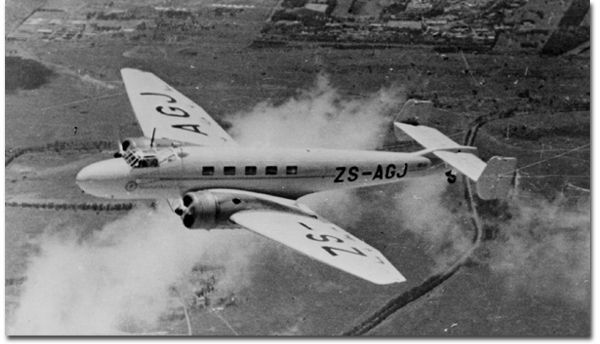 The aircraft joined SAA when South African Airways took over both Union Airways in 1934 and South West African Airways in 1935, a total of three were operated by the airline. British-built. Designed by the famous author, Neville Shute (Norway). 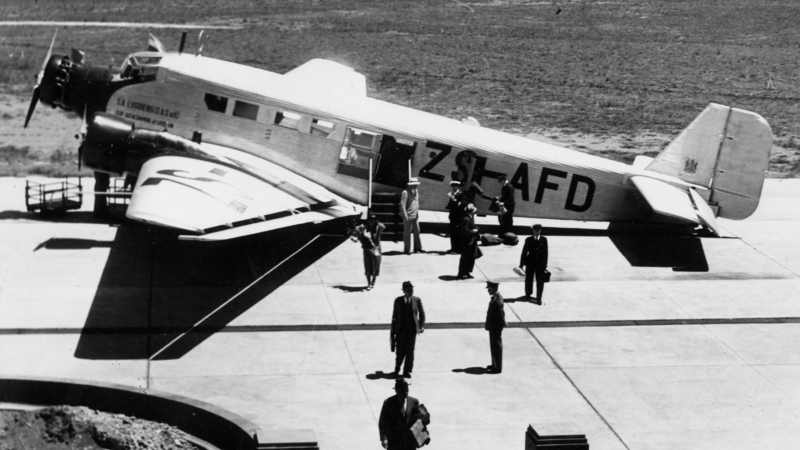 SAA used four aircraft from 1936 on routes to Port Elizabeth and South West Africa until they were transferred to the SAAF in 1938. 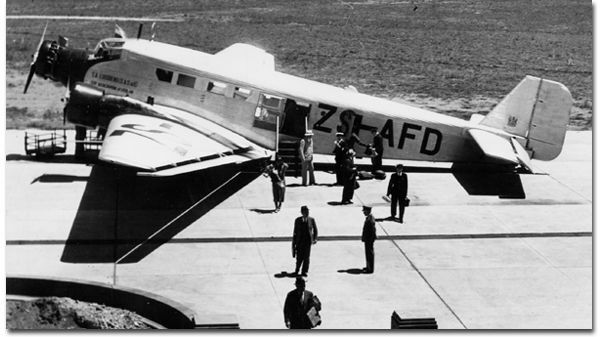 SAA also leased three Envoy’s from the SAAF in 1938. 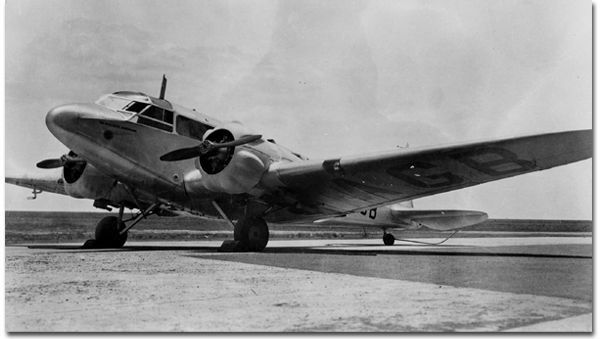 The clean, non-corrugated lines of the Ju 86 with the retractable landing gear provided South African Airways with a fast and comfortable aircraft. 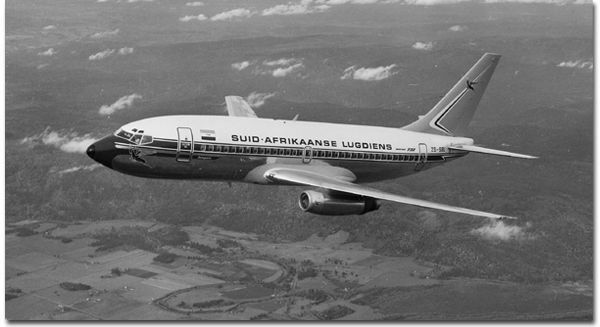 Eighteen served SAA before they were impressed into the SAAF at the outbreak of WWII and never returned to SAA service. 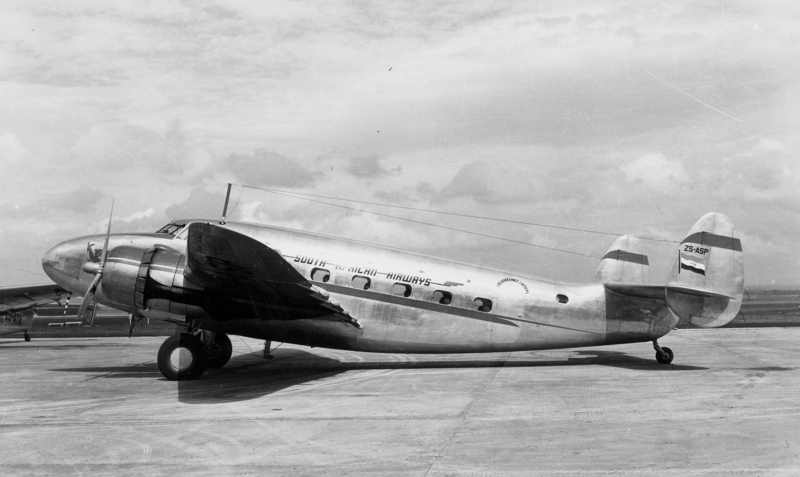 These American built airliners were ordered by SAA shortly before the outbreak of World War Two. Upon delivery the majority were taken over by the SAAF. 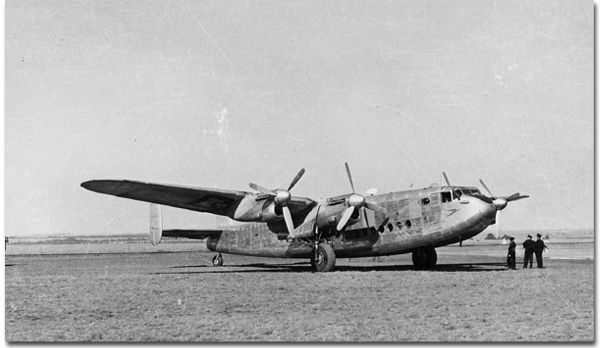 After the war a total of 19 saw service with SAA, the last one of the type being sold in 1955. 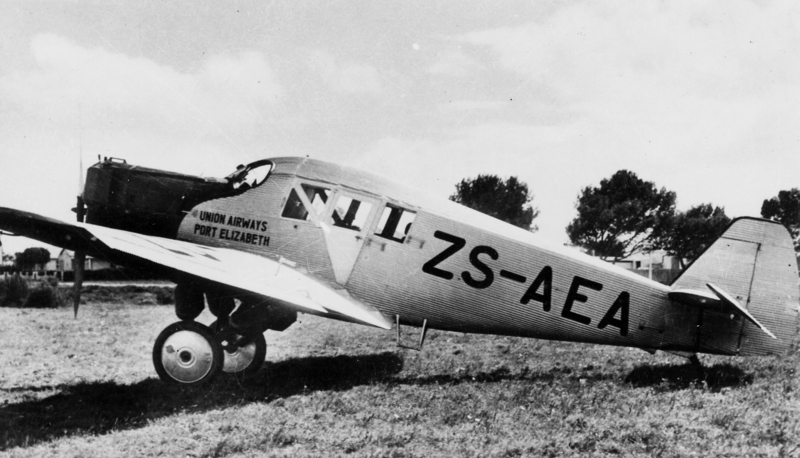 A surviving example, ZS-ASN, was donated to SAA in 1973 and is resplendent in 1940s livery at the SAA Museum Society complex at Rand Airport. The Avro York was a descendant of the British Lancaster Bomber. 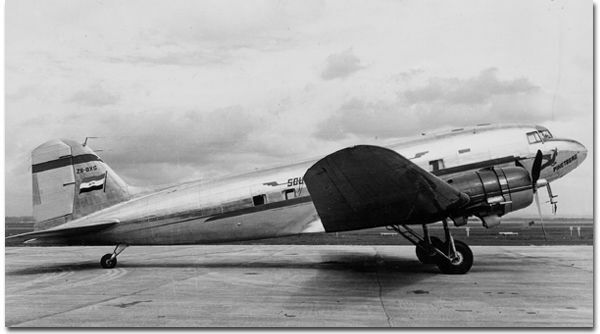 SAA leased eight aircraft from BOAC until 1947 to operate its first intercontinental route to London, inaugurated on 10 November 1945. The service was known as the Springbok Service. 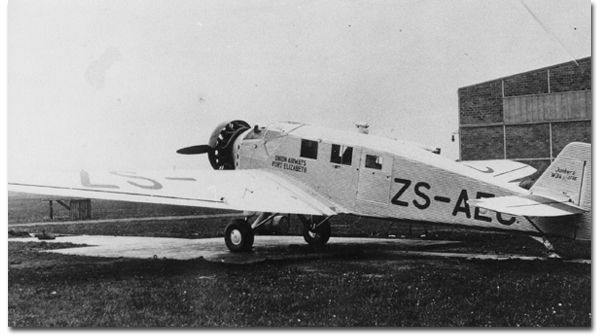 SAA purchased two of these 8-seater British-built aircraft in 1946/7 for use on the proposed feeder services in South Africa. 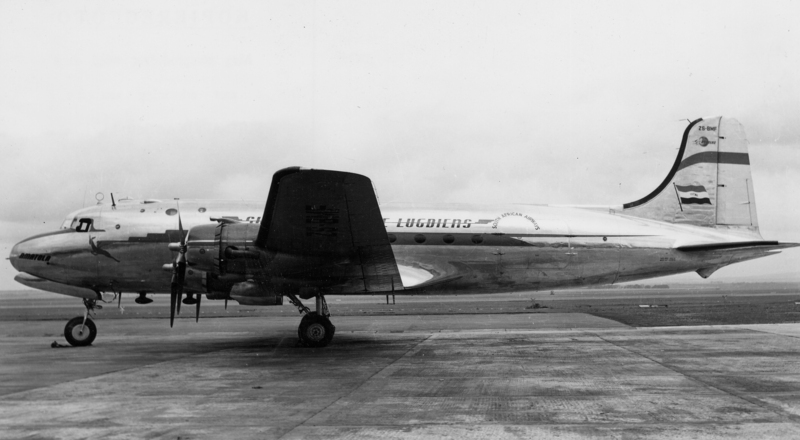 This scheme never materialised and the aircraft were briefly used on the route to Mozambique and for communications duties before being sold in 1952. 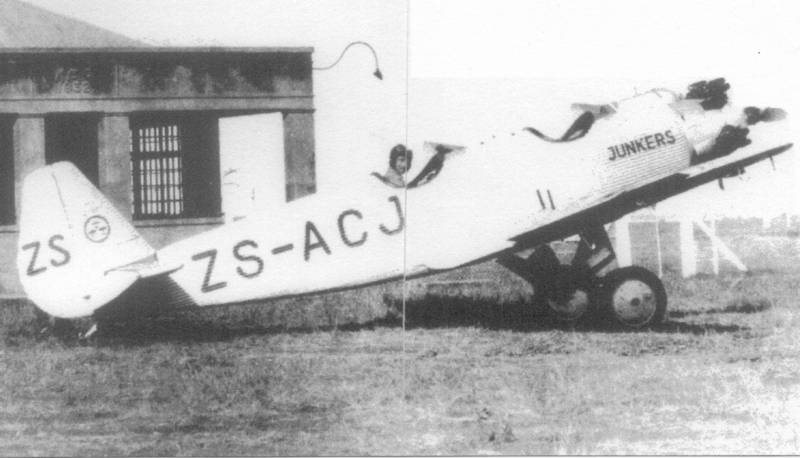 In 1978 one of SAA’s original Doves, ZS-BCC, was re-acquired and restored to static display and is based at the SAA Museum Society complex at Rand Airport. First flown on 17 December 1935 over 11 000 were built, and many still ply their trade today. 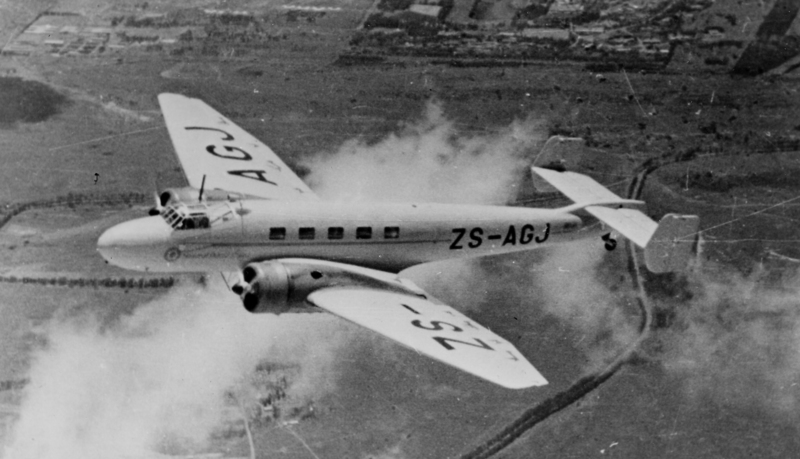 The first of eight DC-3 aircraft operated by SAA joined the fleet in 1946 and were used all over Southern Africa until 1970. SAA operated a total of seven DC-4 aircraft, the first joining the fleet in 1946. 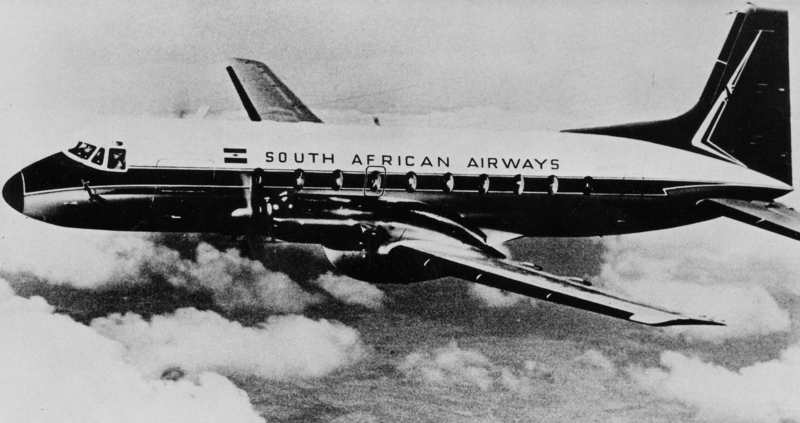 SAA’s Skymasters took over the Springbok Route to London in 1946 and operated extensively in Southern Africa until 1967. They were used to inaugurate the Skycoach services in 1959. 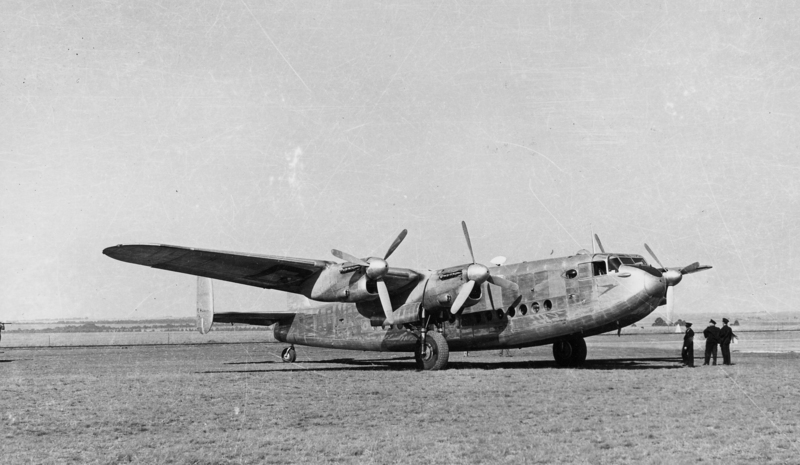 The VC.1 (Vickers Commercial 1), a mid-wing British airliner was derived from the World War Two Wellington Bomber. 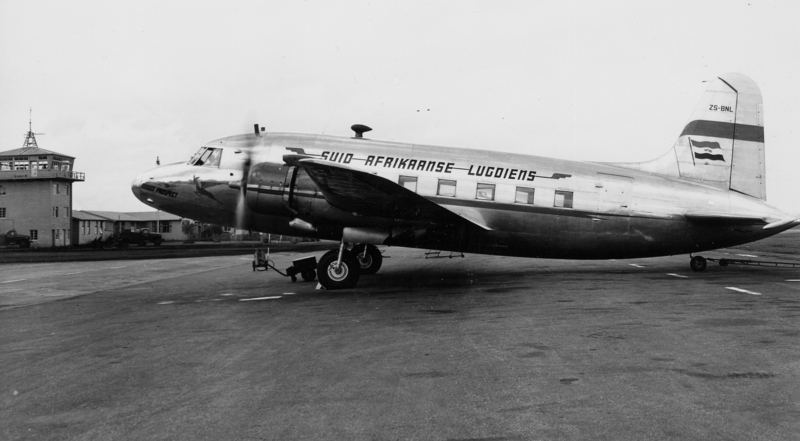 Eight Vikings were used by SAA from 1947 to 1952 on routes in Southern Africa. 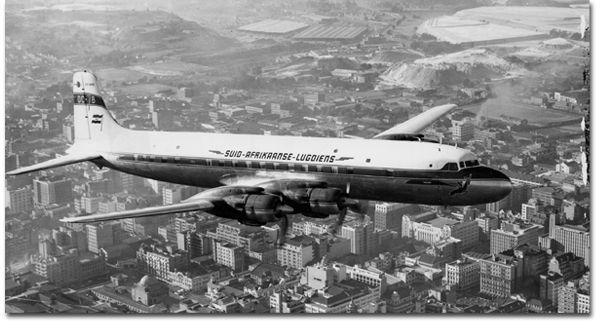 The graceful Lockheed Constellation was SAA’s first pressurised airliner. Four were put into service in 1950 on the routes to Europe. The constellations were later relegated to internal and regional services and were sold in 1964. G-ALZK de Havilland DH106 Comet (1952). 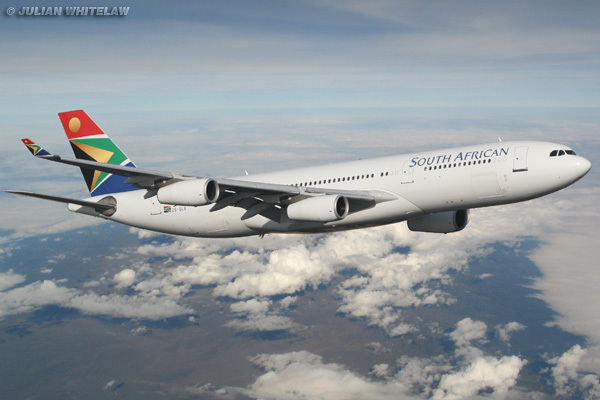 Note this is a mock-up image, the photo is real the SAA livery is not. 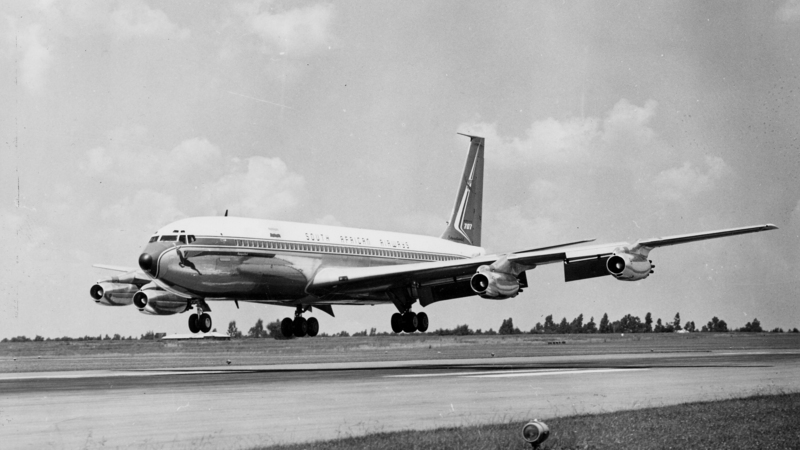 This British-built aircraft was the World’s first jetliner to enter service. On the 2nd of May 1952 BOAC began the world’s first jet passenger service with the revolutionary de Havilland Comet 1, on the London to Johannesburg route. 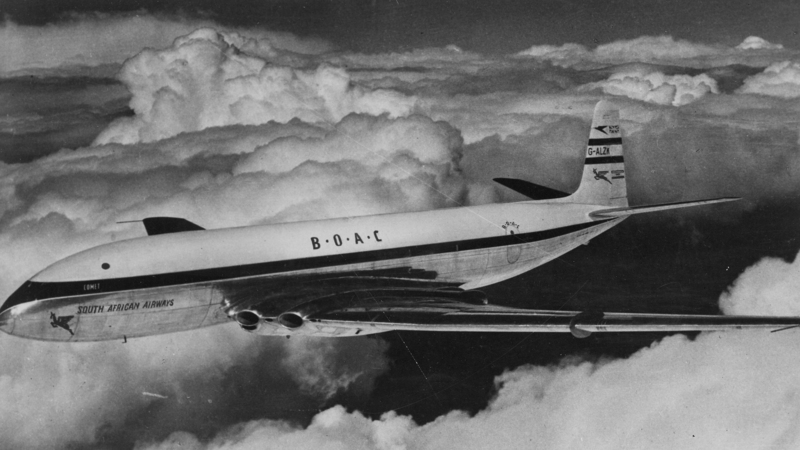 SAA leased two Comet 1 aircraft from BOAC in 1953/4 for use on the Springbok route between Johannesburg and London. 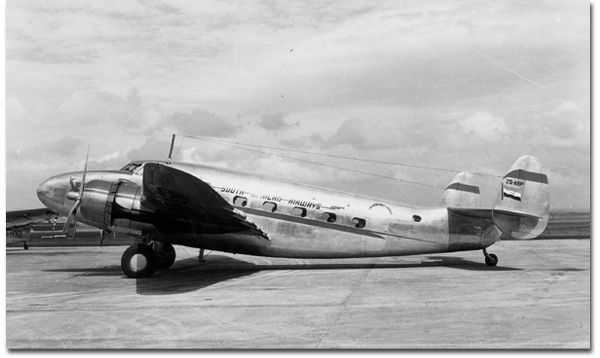 Due to structural problems the aircraft were withdrawn from service in 1954. 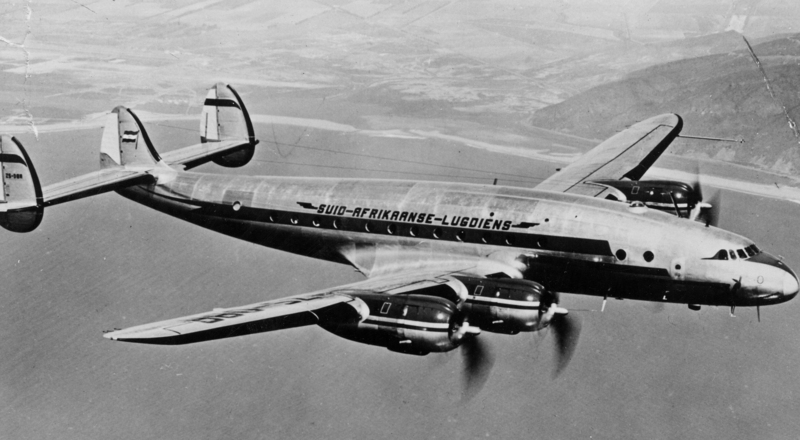 This was the world’s fasted piston-engined airliner and in 1956 SAA became the first non-American airline to place the type in service, replacing the Lockheed Constellations on the European routes. 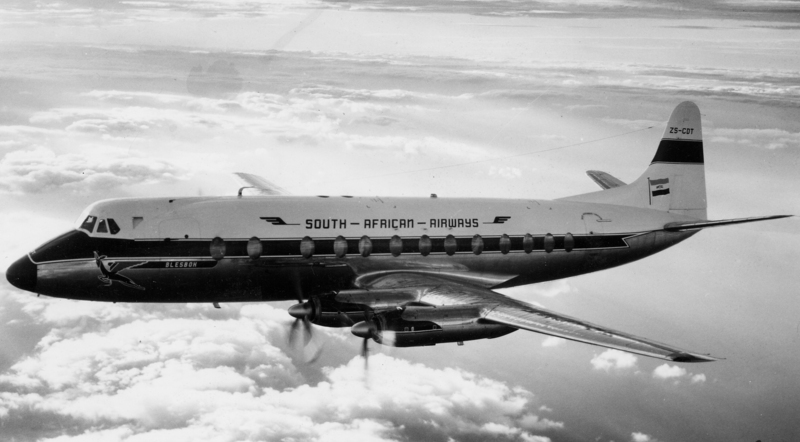 SAA’s service across the Indian Ocean to Perth was pioneered by the DC-7B. 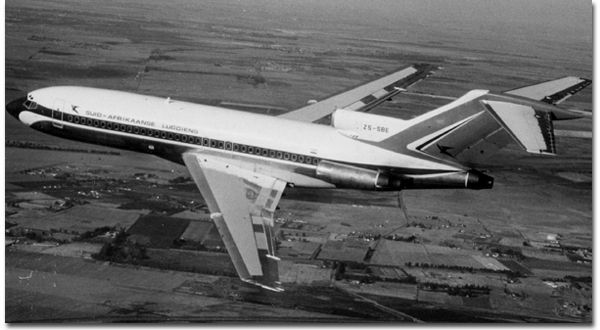 The four aircraft were later used internally before being sold in 1966/7. SAA took delivery of 8 of these popular British aircraft. 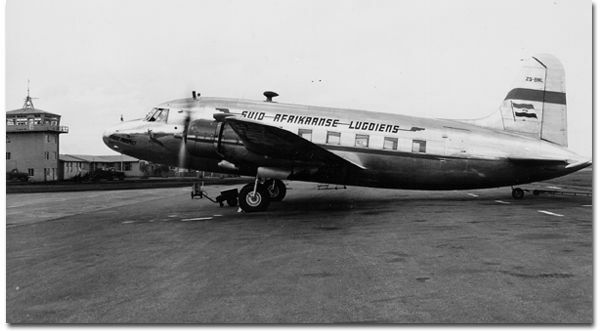 They were initially used on the main domestic routes and later served most destinations in Southern Africa. They were withdrawn from service in 1971. 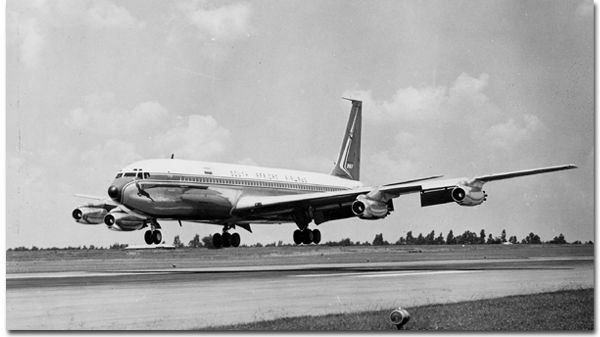 The 707 was the Seattle-based Boeing Company’s first jetliner, and SAA took delivery of 10 aircraft from 1960 to 1969. 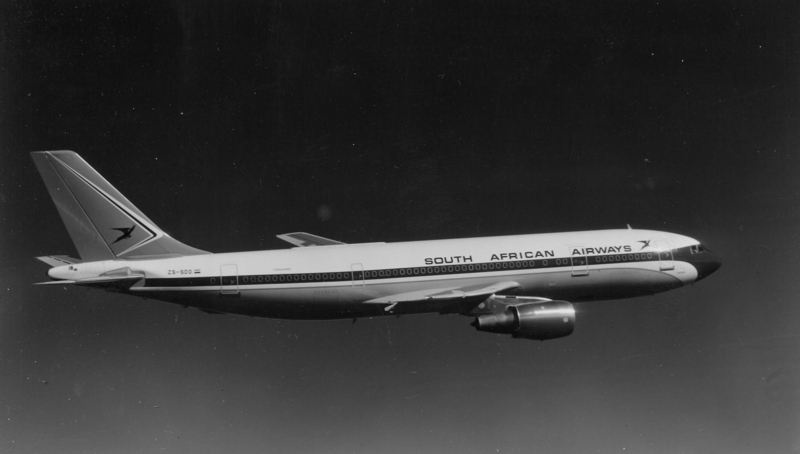 From 1965 to 1982, SAA operated nine of these 3-engined aircraft on its routes in Southern Africa. This is the baby of the Boeing jetliner family. Six were delivered to SAA from 1968. 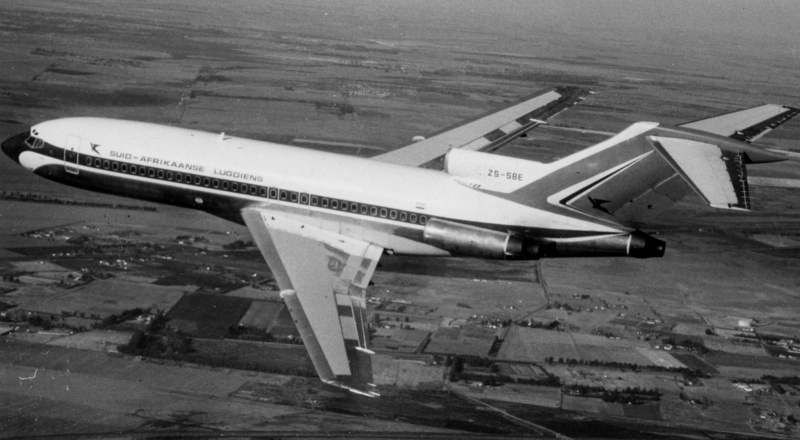 They were used to supplement the Boeing 727s on the domestic and regional routes. 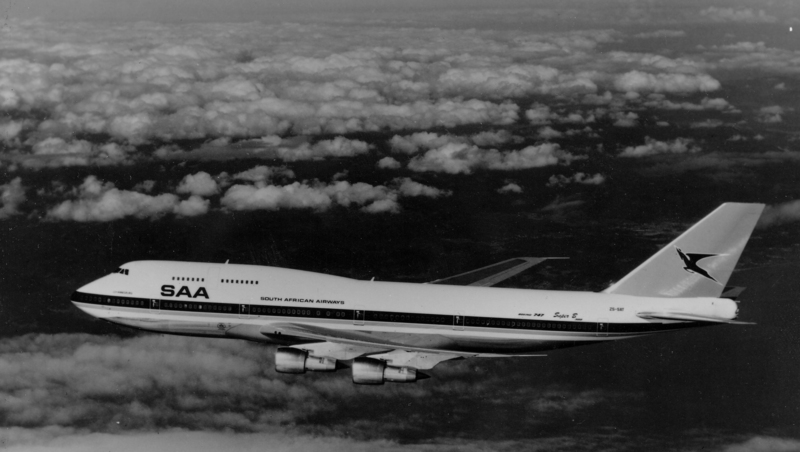 SAA’s first 747, the world’s first wide-body jetliner, arrived in November 1971. 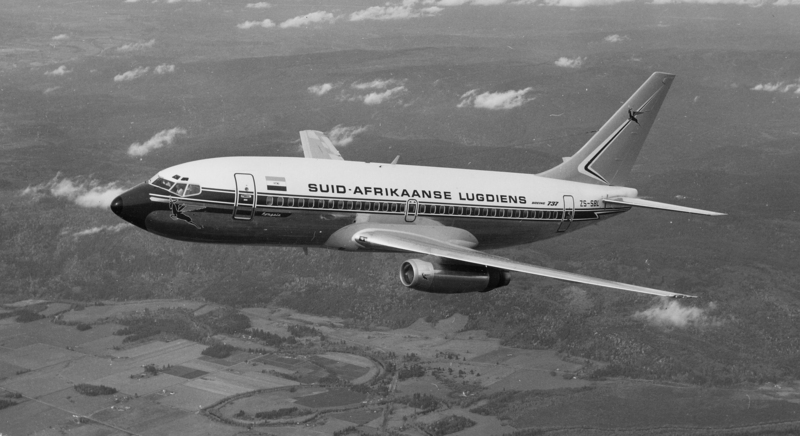 The five reliable airliners were in SAA service for more than 32 years. 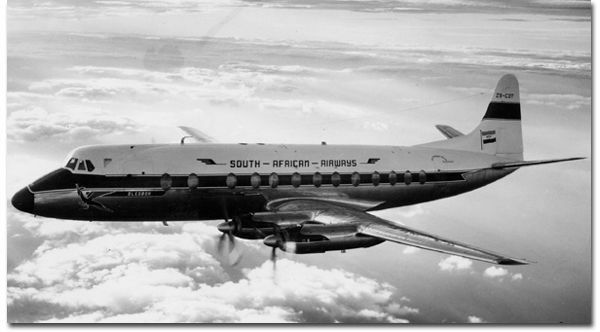 This twin-turboprop British airliner replaced the Douglas DC-3 Dakotas on SAA’s services to neighbouring states and South West Africa in 1970. 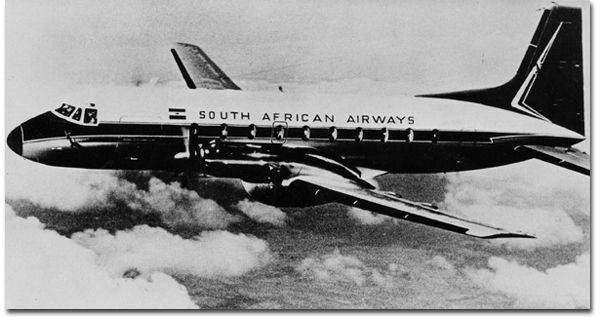 SAA’s three examples were withdrawn from service in 1983. The A300 is a wide-body twin-engined jetliner produced by a consortium of European aircraft manufacturers. 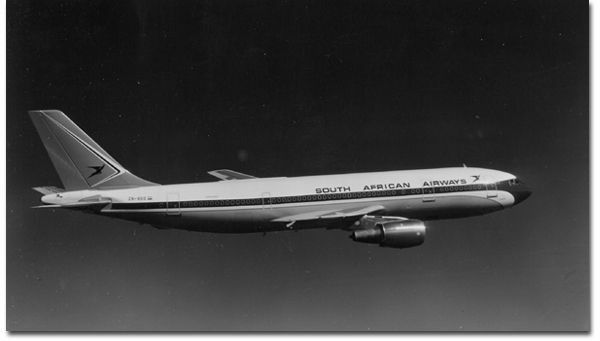 SAA used the type flying domestically and regionally from 1976. 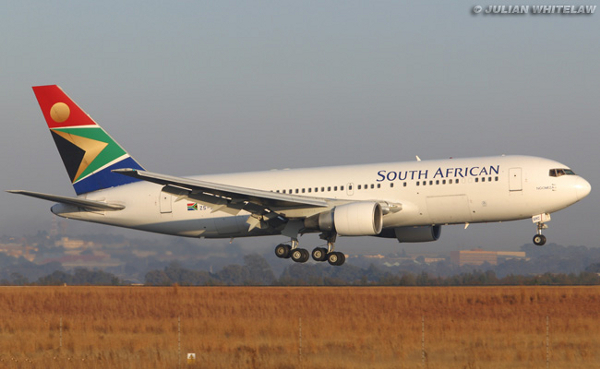 The Airbus A300 gave SAA 25 years of excellent service. 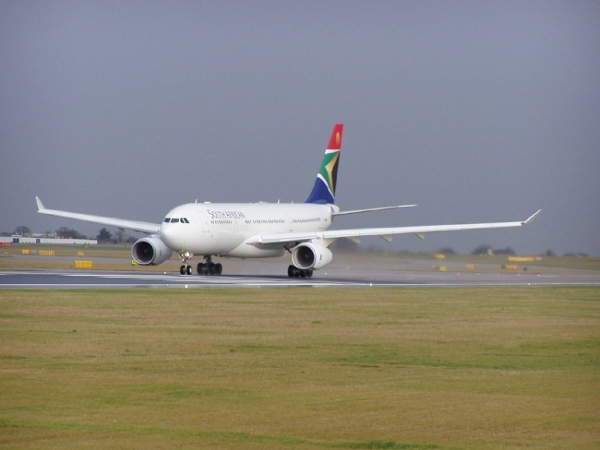 A total of nine aircraft served SAA. 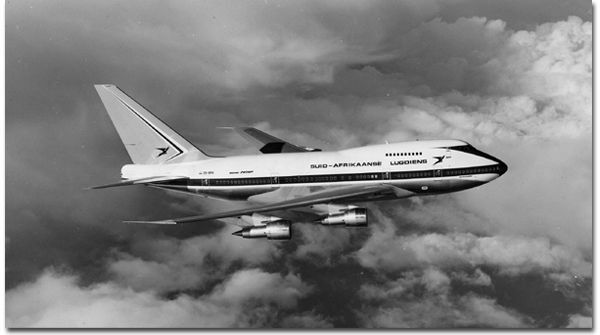 SAA’s first “SP” (Special Performance), ZS-SPA established a world non-stop distance record for a commercial airliner on its delivery flight to South Africa 23/24 March 1976. The time from Seattle to Cape Town was 17 hrs and 22 mins. Distance covered was 16,560 kilometres, (10,290 miles). Sadly this historic aircraft was cannibalised for spares and the airframe was finally cut-up towards the end of 2002. Six saw service with SAA. 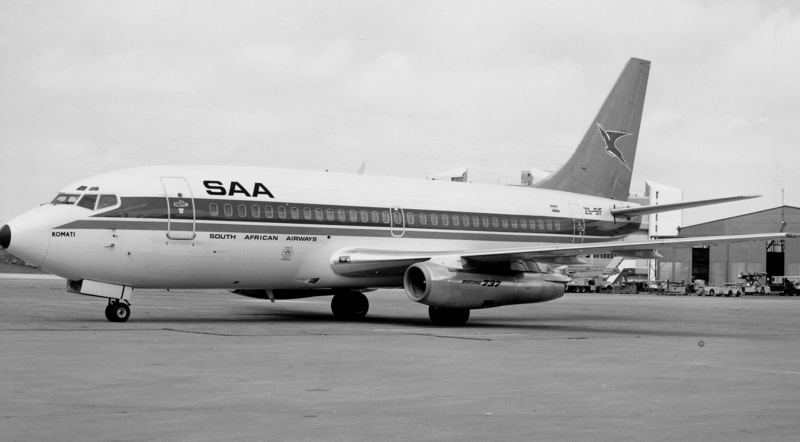 Deliveries to SAA of the Boeing 737-200 Advanced began in August 1981, a total of 22 operated in SAA livery. The first of SAA’s 747-300 aircraft arrived in May 1983. 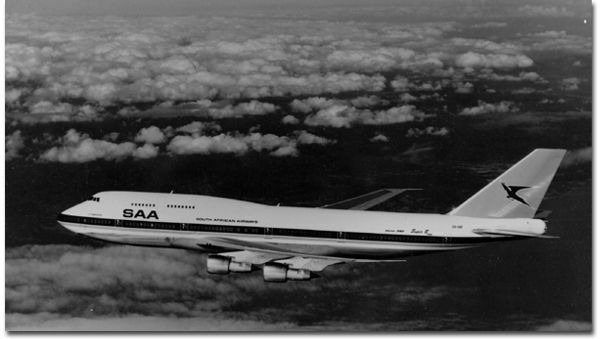 The most distinguishing feature over that of the 747-200 is the “stretched upper deck”. Six of the type saw service in SAA livery. 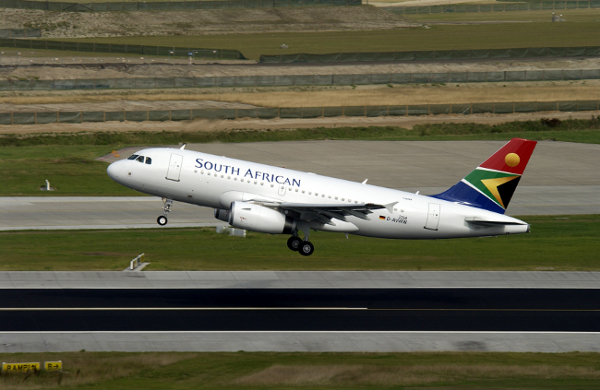 The first of SAA’s A320 aircraft arrived in November 1991. 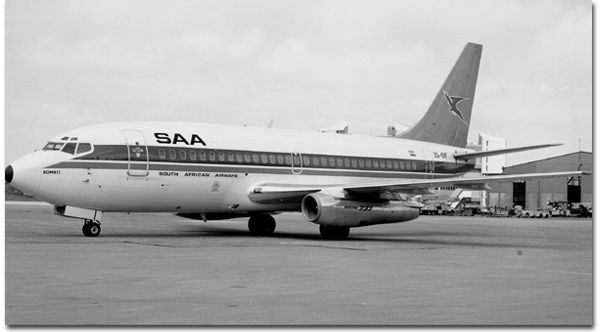 SAA operated 7 of the type; the last one was withdrawn from service in 2001 and sold. 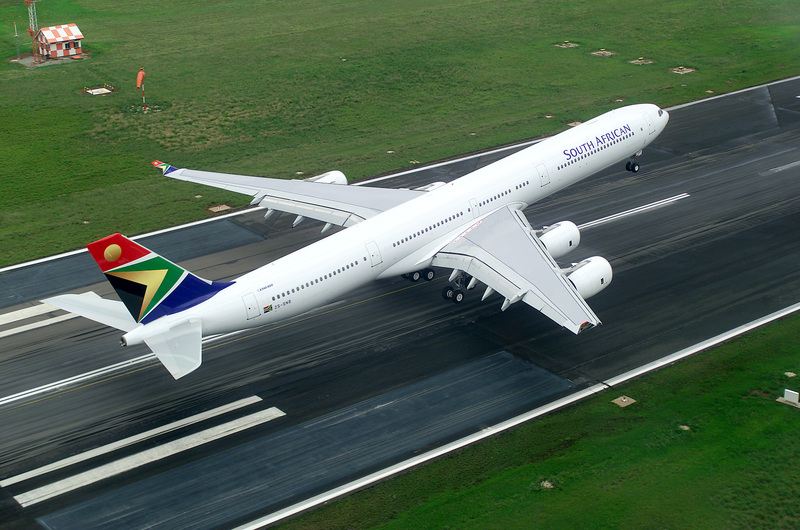 SAA operated 3 of this type, the first arriving in August 1993. 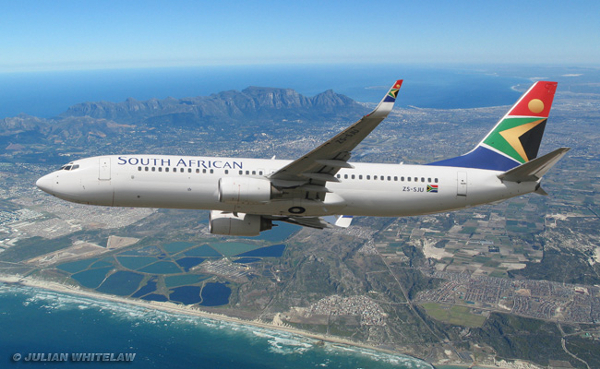 SAA’s first Boeing 737-800 arrived in July 2000, 21 airliners were delivered to SAA. 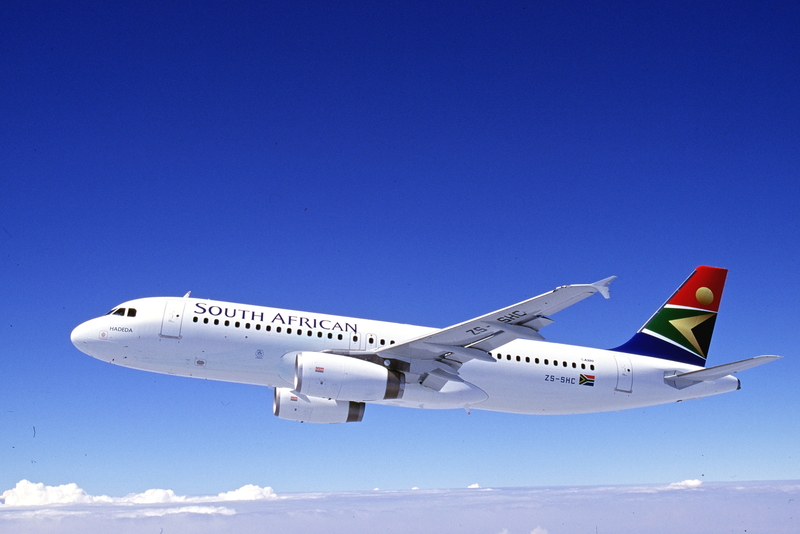 Leased by SAA from British Midland, two were put into SAA service in 2002. SAA’s first A340-600 arrived in January 2003. 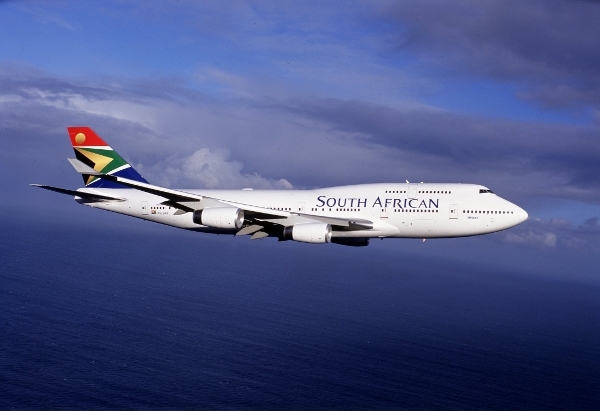 Leased by SAA from Lufthansa, the first aircraft arrived in April 2003.